This luscious pecan praline topping is so marvelous, it should be canned and gifted! Show your friends and family how much you appreciate them...there's nothing like the joy of presenting or receiving homemade gifts! 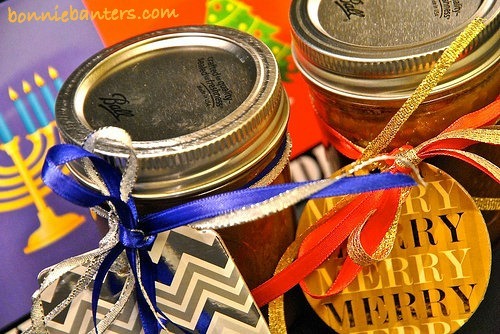 Tie your gift jars with pretty ribbon along with gift tags explaining care and suggested ways to use. For several ideas to enjoy this decadent topping, see my original post Luscious Pecan Praline Topping ~ "How Do I Love Thee, Let Me Count The Ways". It's so sinfully delicious, my daughter likes to eat it straight from the jar!